1. Stay Committed not attached to the process. If you miss a day, you miss a day. Don’t let it slow you down. Your success isn’t in the doing itself but rather in the feelings you’ll get from the time spent reflection. Set your goals low so you can actually reach them. Explore what would be a realistic goal for you, and try setting your initial goal a bit lower than that so you can build trust and momentum. If taking time to reflect is a priority for you, ask yourself daily, “what am I willing to sacrifice to journal today?” This question will help you stay present each day with your needs and capacity. And some days journaling won’t be a priority. On those days, it’ll be easy to step away with this perspective. Rather than becoming a point of shame and failure, this will be a clear reflection that you’re taking care of yourself and prioritizing your needs appropriately. If you find it difficult to sit down in the midst of parenting, working, creating, processing, healing, etc., try scattering your journal(s) around the house. Engage with them randomly throughout the day in short spurts. Leave one in your living room where you can write a sentence or two at a time. Leave one in your bathroom, one year your bed, one at your desk. Let your journals live in a place where you find yourself making a regular, effortless, and consistent imprint in your life. Then use the whispers of time you may otherwise scroll away to reflect. Go back & read your old writings every now and then when you’re feeling uninspired. This will remind you how powerful it is to capture the fullness of your feelings when you’re feeling them, and can act as a great source of fuel to your process. These are the moments before everyone in your home wakes up, and the moments after everyone has gone to bed. Even if it’s just 1 or 2 minutes spent writing before you head off to bed yourself, use that golden silence! Now it’s your turn! 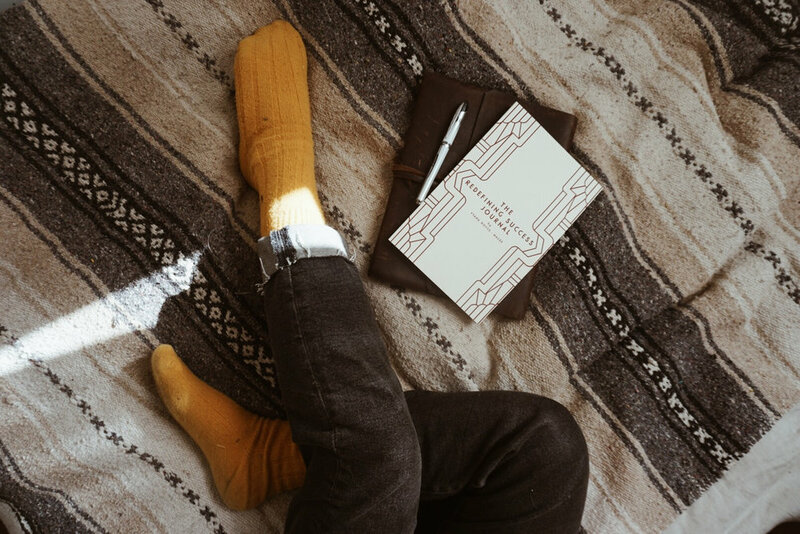 Share how you find time to journal below. Not sure where to start? Dig into some community favorites below, or get an overview of my food, lifestyle, and postpartum/parenting philosophy that feeds the blog here.